One of the things I love about late spring, other than the occasional rain shower, is fruit picking. I recently had the chance to pick cherries, peaches, apricots, and loquat in nearby Brentwood. If you know anything about loquat, you will know that they are quite delicate and don't last that long. With more loquat than I could enjoy in a week, I decided to make liquor out of the fruit. 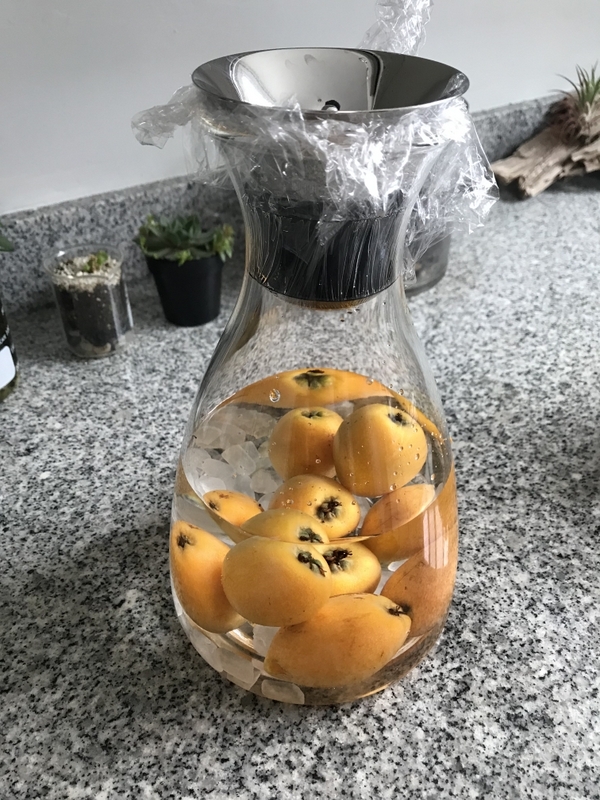 Borrowing from recipes used to make umeshu, I set out to create loquat liquor. 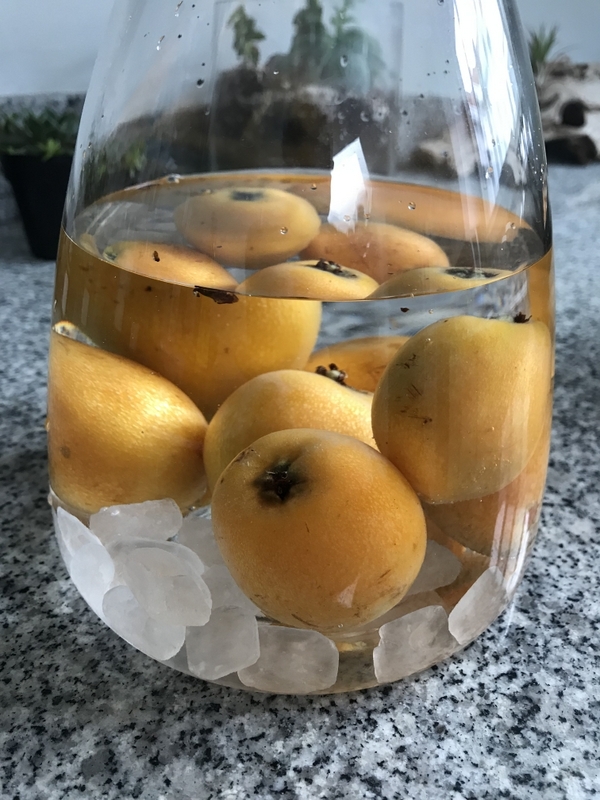 Basically, I washed the loquat as well as I could with water, placed the loquat in a glass container, gently added in the rock sugar (so that it was nestled in between the loquat), poured in the soju, sealed the glass container, and placed it in the refrigerator. What follows is a month of waiting. Time passed by relatively quickly, but I did wonder how my liquor was doing and if it would even be palatable. Around a month and two weeks later, I brought out the liquor to share with friends. The taste was nice and subtle with the loquat being present with the soju flavor. I added the liquor to ice and lemon soda to make for a nice summer refresher. The infusion was quite the crowd pleaser. I definitely think I will give this recipe a try again, perhaps in higher volume and with alcohol that is a little more tasteless. Have you made a liquor infusion before? How was it?